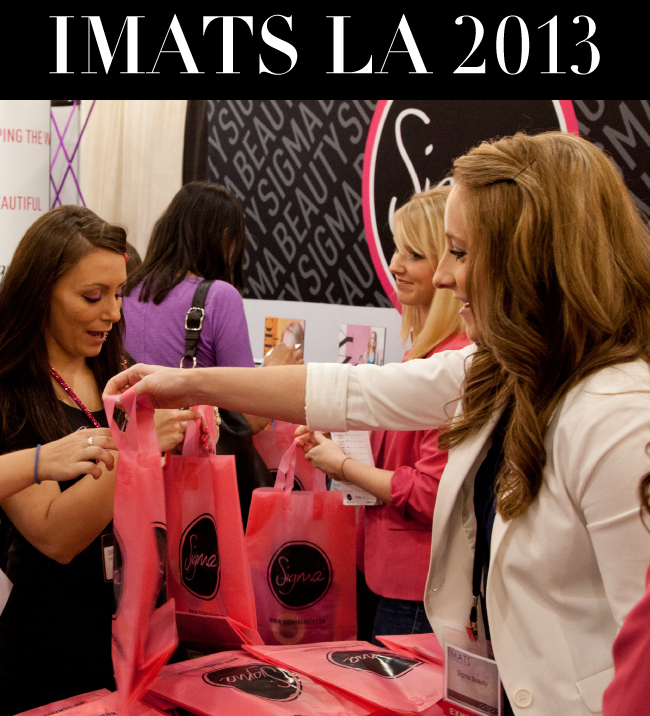 Sigma Beauty Blog: Sigma @ IMATS LA 2013! At IMATS, visitors can expect to see several makeup exhibitors, YouTube’s top beauty gurus, classes and demonstrations from the most experienced makeup artists in the world, plus your favorite beauty brands… including Sigma! We will be selling a wide range of products, including our best-sellers and newest products such as the Beauty Expert - Brow Design Kit and the limited edition Defining Eyes Palette by Tiffany D, plus many more! Stop by, say hi and shop around! Not only will you receive a free gift and exclusive discounts on products, but a chance to get your makeup done by YouTube beauty gurus MakeupbyTiffanyD or Camila as well! To buy tickets, go HERE! For more information about the event in general, check out the IMATS website. Are you going to be at IMATS LA this year? RSVP on our Facebook page if you are! We look forward to seeing you! They should come back to Vancouver so I can go! I'm going and can not wait!! I would love to go, but being in NJ its obviously difficult to get there. Any chance you will be at the NYC one??? Wish we could but it's just LA this year! Sigma will you be in the IMATS for NYC??? Will there be any chance that you will come to NYC?!? Maybe in the future but unfortunately not this year. where is the 20% off? only at the trade show?? if so why does it say free shipping... help? Yes - you must be at the trade show to receive the discount. By purchasing at IMATS instead of our website, you won't have to pay tax or shipping fees. Awesome! - We look forward to meeting you! What products will you be selling there? Soo excited for this event! We will be selling a very large assortment of products. Is there something in particular you are looking to purchase? I AM SO EXCITED I CANT WAIT TO GO TO THE IMATS ITS GOING TO BE HEAVEN! SO bummed I cannot get to LA for this! This event is a defenite for me atleast once in my lifetime tho. Have fun ladies!! I was so hoping you would be at the NYC 2013 IMATS event. I am very rough on my brushes and your brand has held up very well over the last two years. I cannot go to the LA IMATS but hope to see you in NY IMATS..! Isnt there any plan for this event to be held in Dubai? Will you be in LA again this year?? I really want to go but I will not be able to make it because I am going out of town?? Will Sigma be selling individual brushes at imats la? Sigma is going to be the first boot that my friends and I will visit at Imats LA 2013. So excited to buy the brushes and meet Tiffany and Camila. See you there. I'm so sad because I was going to NY on April, but sigma won't be there!!! Please Opean a store in Florida!!! i'm so excited this is my first time going. will they be accepting atm or cash only..